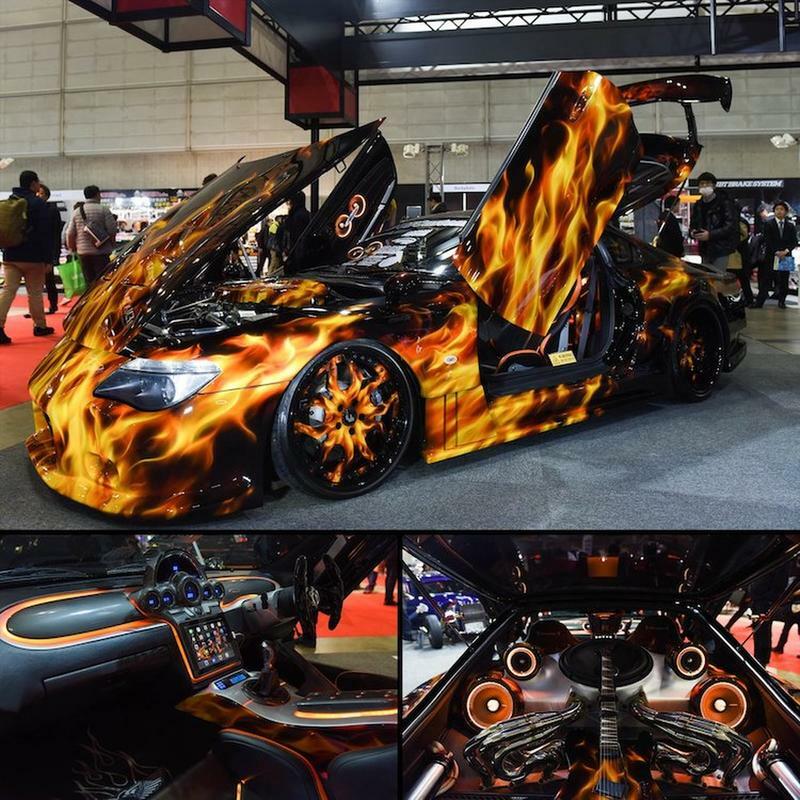 At the Makuhari Messe convention center in Chiba City, Japan, hundred of thousands of visitors will enjoy some of the most outlandish cars in the world at the annual custom-vehicle show known as Tokyo Auto Salon. The vehicle below is the Suzuki Kanto Dream-1, which is based on the winning entry from an elementary and junior high school future-car design contest. The event, which features custom dress-up parts and technology display, is hosted by NAPAC, the Nippon Auto Parts Aftermarket Committee. The Tokyo Auto Salon has been held for the past 27 years. 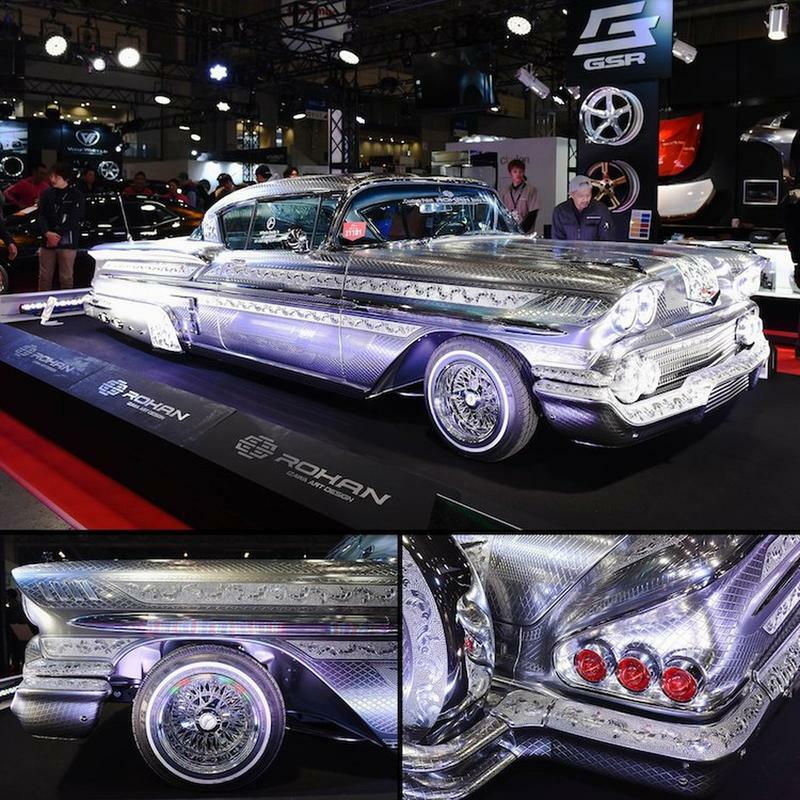 The Rohan Metal Chevrolet Impala uses specialist paint from Rohan Izawa Art Designs and diamond engraving on a 1958 model. Takahiko Izawa said it took two years to complete by hand. The show’s popularity has grown resulting in an increases from 8 halls to 11 halls at the Makuhari Messe. 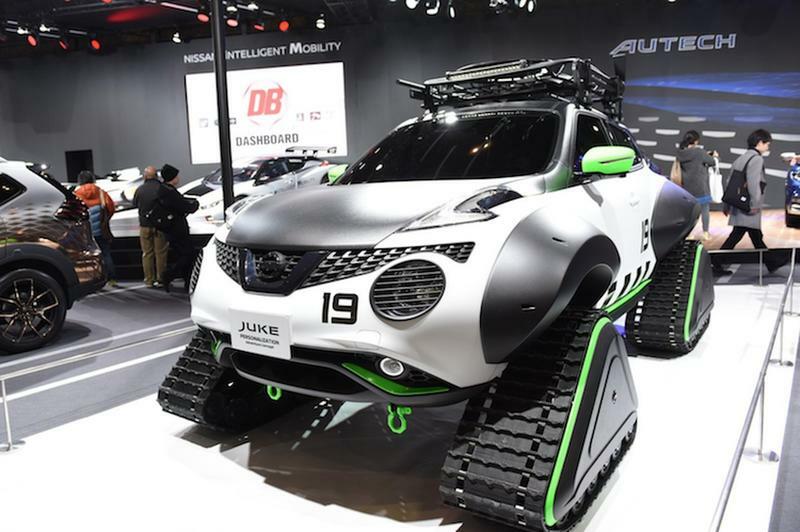 People from all over flock to see wild creations like the Nissan Juke Personalization Adventure Concept, which was inspired by Japan’s natural disasters. 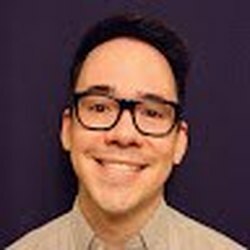 The idea is that it will be able to drive through any environment. Beyond all the amazing vehicles, exhibitors also display the latest products that they’ve used to customize their cars. One of the biggest gets this year is the fiery-flame painted Toyota Raven Supra, with is based on the JZA80 model of the iconic sports car. 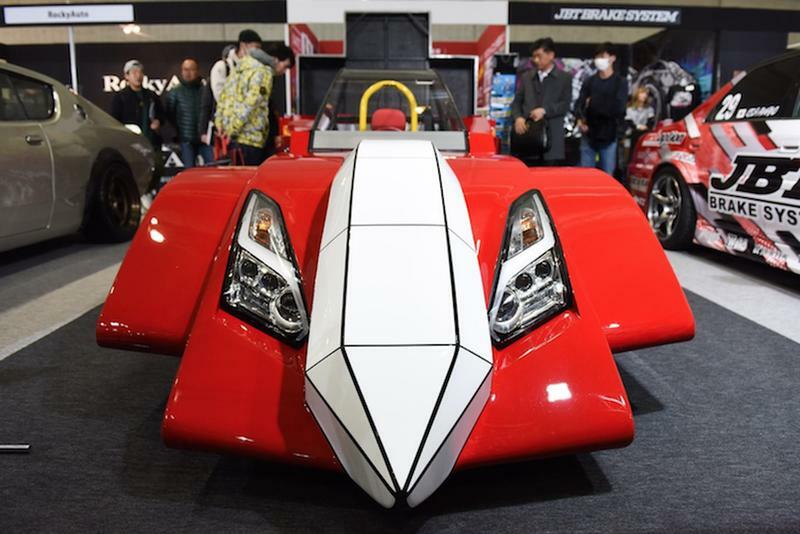 The Tokyo Auto Salon features a wide range of vehicles, from vintage to futuristic, and all of the classic and current after-market parts. 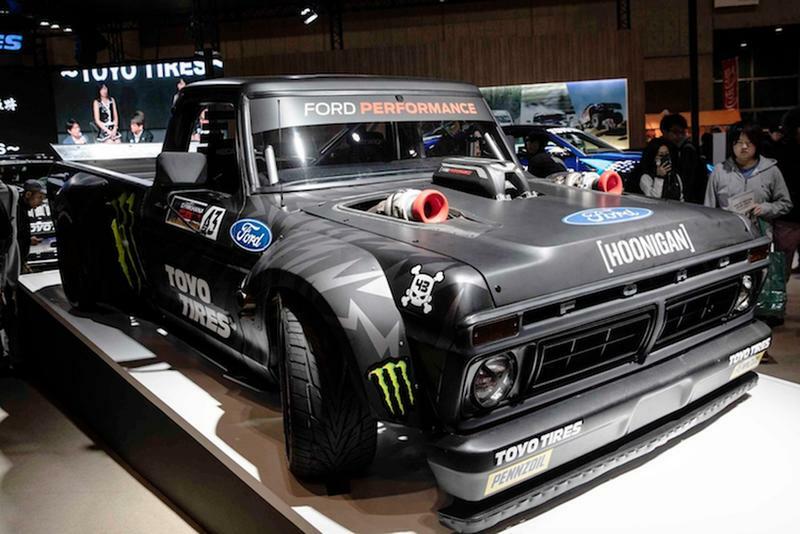 Another blast from the past is the 1977 "Hoonitruck" Ford F-150, which has a customized 1000-horsepower engine that was conceived by professional rally driver Ken Block.